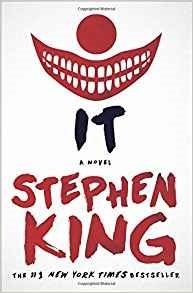 Before a book is made into a major motion picture, it is said to read the book first. Download these titles, from our digital collections, that are coming to a theater near you. On a stormy winter night, two strangers wait for a flight at the Salt Lake City airport. Ashley Knox is an attractive, successful writer, who is flying East for her much anticipated wedding. Dr. Ben Payne has just wrapped up a medical conference and is also eager to get back East for a slate of surgeries he has scheduled for the following day. When the last outgoing flight is cancelled due to a broken de-icer and a forthcoming storm, Ben finds a charter plane that can take him around the storm and drop him in Denver to catch a connection. And when the pilot says the single engine prop plane can fit one more, if barely, Ben offers the seat to Ashley knowing that she needs to get back just as urgently. And then the unthinkable happens. The pilot has a heart attack mid-flight and the plane crashes into the High Uintas Wilderness— one of the largest stretches of harsh and remote land in the United States. 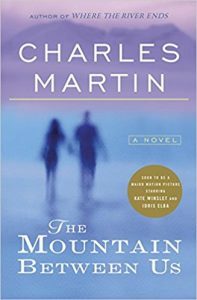 In the tradition of John le Carré, the bestselling, impossible-to-put-down, espionage thriller that is "a primer in twenty-first century spying" (The New York Times Book Review), written with the insider detail that only a veteran CIA operative could know—and shortlisted for an Edgar Award. State intelligence officer Dominika Egorova struggles to survive in the cast-iron bureaucracy of post-Soviet intelligence. 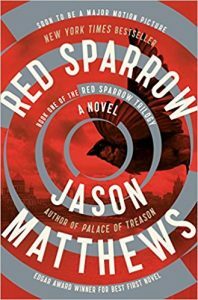 Drafted against her will to become a "Sparrow," a trained seductress in the service, Dominika is assigned to operate against Nathaniel Nash, a first-tour CIA officer who handles the CIA's most sensitive penetration of Russian intelligence. The two young intelligence officers, trained in their respective spy schools, collide in a charged atmosphere of tradecraft, deception, and, inevitably, a forbidden spiral of carnal attraction that threatens their careers and the security of America's most valuable mole in Moscow. "The murderer is with us-on the train now . . ." Just after midnight, the famous Orient Express is stopped in its tracks by a snowdrift. By morning, the millionaire Samuel Edward Ratchett lies dead in his compartment, stabbed a dozen times, his door locked from the inside. One of his fellow passengers must be the murderer. 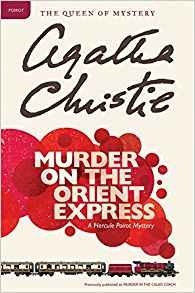 Isolated by the storm, detective Hercule Poirot must find the killer among a dozen of the dead man's enemies, before the murderer decides to strike again . . .